Scientists from Imperial College London have managed to create a Quantum compass that can show directions without any need for a satellite GPS. 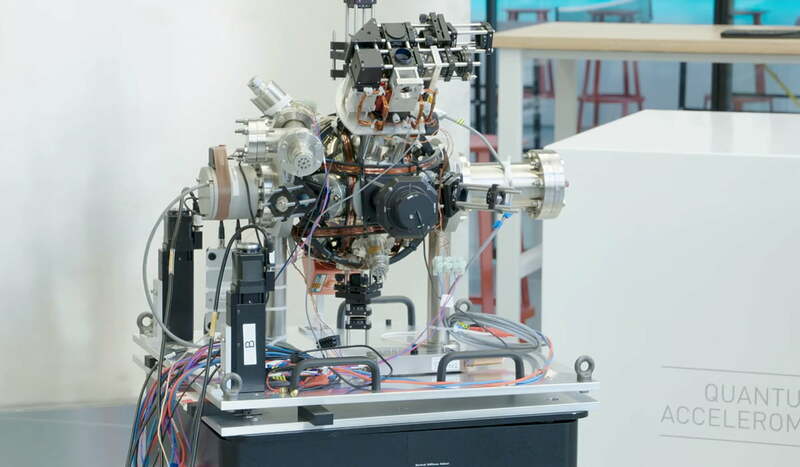 This will be the United Kingdom’s first quantum accelerometer for navigation. Traditional navigation systems require satellite imaging such as Global Positioning System (GPS). This is known as a global navigation satellite system (GNSS). This technology relies on sending and receiving signals from satellites orbiting the Earth. GPS is an extremely useful feature. Google Maps relies heavily on GPS data to function properly. GPS does have a lot of limitations, however. The signals can get interrupted when there is a tall building, or when there is a scrambler in the area. The scientists were able to create a transportable, standalone quantum accelerometer. The accelerometer was showcased at the National Quantum Technologies Showcase. The event highlights the top scientific advancements made in the field of quantum technologies. The Quantum compass was showcased as part of a 270 million pounds fund provided by the UK government. The fund is called UK National Quantum Technologies Programme. It is a 5-year investment made by the British Government to improve quantum technology. The team at Imperial College is looking to make this into a commercial product used for navigation. Accelerometers have existed for a long time. Now they have been incorporated into portable devices such as laptops, tablets, and smartphones. The problem is these devices start losing their precision over time. Therefore they need some external reference, to compare their coordinates with. This quantum processor gets its precision and accuracy from the measuring properties of cold atoms. At super low-temperature points, the atoms’ properties change. They start behaving like quantum objects, that is they start acting like both wave and matter at the same time. While the atoms drop, their wave properties are impacted by at what rate the vehicle’s velocity changes. The scientists were able to measure changes in the distance even at a microscopic level, using a precise atomic ruler. Very high powered lasers are used to make the atoms vibrate and accelerate, and displace. The lasers need to not only be extremely powerful, but they also need to be highly controllable. So, even minute changes could be noted without any problems. The team was working with a universal laser system which allowed for a more accurate and less wasteful measuring peripheral. The laser also cools down the atoms and acts as a microscopic measuring ruler, when they are made to accelerate. The biggest thing to remember is don’t expect this accelerometer to be put into smartphones, laptops, and tablets just yet. The system is massive so it takes a lot of space. The Imperial College scientists, therefore, want it to be used by ships and trains. It can also be used for research purposes. Some examples of its scientific research capabilities include the search for dark matter and gravitational fields. This is a great day for British pride as this sets a precedence for how technology and academia can combine to create something so significantly important. Many believe that this creation will put British onto the map of quantum technology. It is also great to see how such inventions are moving out of laboratories and moving into the practical world.